Happy Saturday! YAY! After the interview with Ashton Applewhite, I have decided to show my readers that life is not boring as we get close to 60 and beyond! In fact, life and each adventure we create, can be quite fun and maybe even surprising! I don't recall ever waking up and thinking, I want to throw axes! However, when my son told me about a new activity in Charlotte that included craft beer, I decided to check it out. The closest I have been to throwing axes are darts! Which is fun... and the pin holes created on our basement wall were easy to patch. Not so much with an ax! 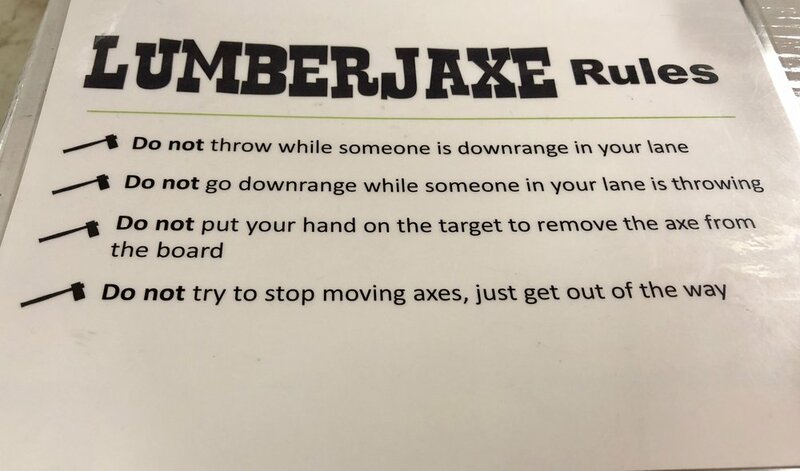 Hence a trip to LumberJaxe! Even though I am a Mich Ultra kind of girl, the craft brew selection was great, which Mr. Silver loved!! The place was rocking! It would be a great couples outing, girls night out, company function, etc. And if you are really into it... they offer leagues!! Have to say we truly enjoyed the adventure and will be back to perfect our throws! 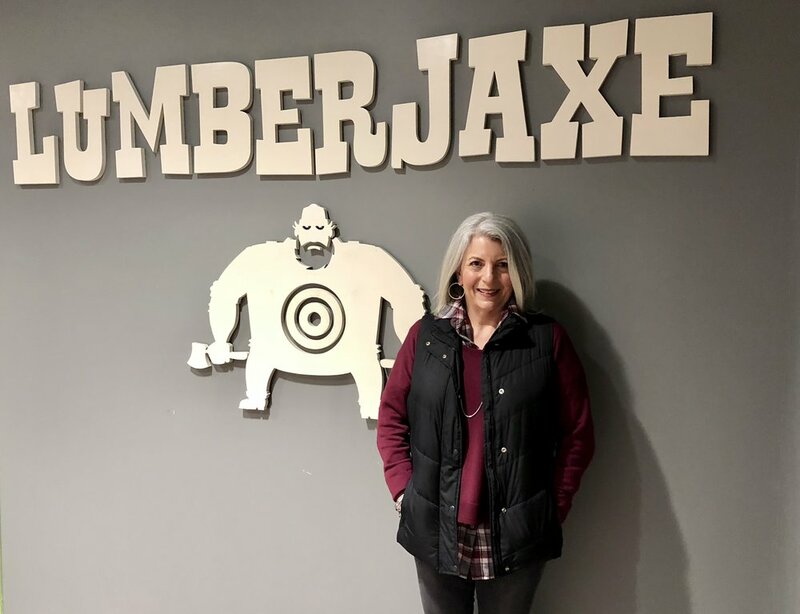 I am giving ax throwing and LumberJaxe a thumbs up! One tip is to book online! There are lots of ax throwers in the area. And if you don't live close, check out ax throwing in your area! !